The 'Sweet buckeye'. 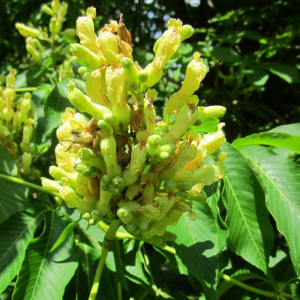 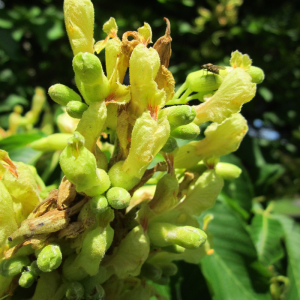 A medium-sized or large tree with its flowers attractively nearest to yellow in a horse chesnut, borne in May and June. Leaves giving good rich autumn tints.